Tucson Daily Photo ~: One of Tucson's All Time Best Signs! I just love this restaurant! It's an American diner sort of place - no frills. And they let you know about it before you even pull into the driveway. 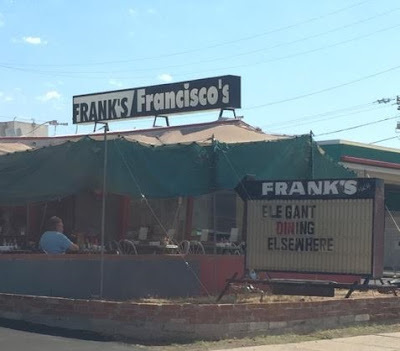 So if you are looking for elegant dining.... they suggest you go elsewhere! At night the diner (Frank's) turns into "Francisco's" and they serve Mexican food.